When managing the lifecycle of independent talent recruitment, there are many dynamics and nuances to talent investment, which can be described by three phases – Acquisition, Enablement, and Management. In my last post, I focused on the acquisition phase of the lifecycle, and today we will dive into the next element: enablement. Back to our financial capital parallel, enablement is the second phase of the investment lifecycle. In the past, when one purchased stock in a company, a physical stock certificate was delivered. Today, this transaction is handled through electronic systems and is so heavily automated, investors give little-to-no thought to the mechanics of the delivery of a stock. The stock itself now shows up in an account in a split second. What happens behind the scenes, however, is a complex series of events. When you pull the trigger on purchasing a stock, the transaction flows through your broker, and gets distributed to an exchange where a market maker fills the purchase, likely offsetting their risk by purchasing back the asset they just sold you. In addition, the transaction flows through a clearinghouse, a stock transfer agent, and a securities depository. It is important to keep in mind that all of this is highly regulated by government authorities to ensure taxes are handled, controls are maintained, and that suspect transactions are identified for national security interests. As we alluded to in Part 1 of this series, a manager’s responsibility is to deploy capital (financial and human) to achieve a return. In the “human capital” market, the enablement of resources within an organization can be lengthy and expensive. Unlike in financial markets, most enterprises use a variety of tools, manual processes, and handoffs to different teams to complete all of these activities. “Time to productivity” is a key metric to understand cost drivers with the enablement of resources. As engagement continues to increase in the use of the “On-Demand” workforce, time to productivity is the critical metric to optimize and streamline. While many of these enablement steps can’t be fully eliminated, in our experience we find that within enterprises there are usually significant opportunities to increase coordination, introduce automation, and eliminate inefficient steps. The MBO Partners Enterprise Solutions team works with clients to streamline the enablement of independent talent in large organizations. Talk to us today to learn more about the work we’ve been doing to help your business succeed. 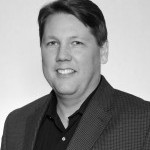 John Dahlberg, VP Solutions Design, leads the Solutions Design and Delivery Team in its integration and delivery of MBO’s comprehensive suite of independent workforce engagement solutions to enterprise clients and strategic partners.